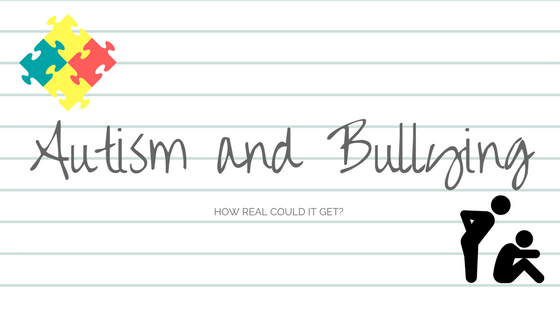 Autism and Bullying -- How Real Can It Get? As parents, we can't help but worry about our kids getting bullied. 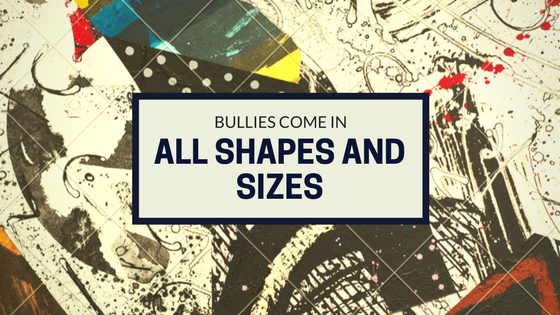 We all know that bullying is even more widespread these times and it's even more unimaginable if it happens to our own children, let alone to those who have autism. Bullying could happen to anyone and people with autism are not an exception. In fact, according to some studies, children with autism are more likely to be bullied, compared to typically developing peers. This makes it even more scary than just raising an autistic kid. Now, why am I bothered? Who won't be? My son has autism and I've seen him get bullied right in front of me. I've come to believe that that could be one of the many reasons behind his not wanting to go to school anymore. You see, he used to go to school. We enrolled him in a regular school (not a SpEd class, as advised by a specialist). We were told to send him to school, so he'd learn, of course, and to improve his social and communication skills through interaction within the class. I wasn't completely confident about this as I know that my son 1) is easily distracted by pencils and pieces of paper (he loves to draw!) 2) gets bored in a short span of time and could get fidgety 3) doesn't like being asked to repeat things he already said/done. 4) does not speak in vernacular (main language used in his school is Tagalog--he speaks in English). I know for a fact that these "characteristics" are some of the things that we need to work out for our son to improve. However, these are also same reasons why his being different gets more noticed. And worse, he gets bullied. There was one time, I saw the most horrifying thing. I didn't know what happened before this (I'm about to pick him up from school). I got so angry as soon as I've seen my son lying on the floor, his hands on his ears, while one of his classmates repeatedly kicks his head. Just imagine that. But what can I do? It's just another kid in his class. I cannot just reprimand another person's child. I stared him down instead, until his gaze wavered.. Then I grabbed my son so we could go home. Drawing materials is a staple in our household. We can't do without them as these are one of the things my son is fixated on. We encourage him to practice drawing, as it's one of his strengths. At the age of three, he can draw cars, the planet Saturn, and of course, his favorite back then, trains. An observation I had in his school, when I used to shadow (first week of classes), he'd tend to stand up a lot and go to the chalkboard and draw his favorite things. Some of the boys in class, would stand up and erase what he'd drawn on the board (which, I think, they'd do as they don't want "disturbance" in class). Or I could be wrong. It may sound so petty, but for me, this is plain bullying. Who says kids in nursery can't be bullies? I'd tell you there are other kids I know, who have not even reached four years of age and they'd show superiority over their peers who appear "weak" to them. Matt is easily bored, especially during classes. As most of you didn't know (I don't want to sound like I'm bragging though), he could count up to a hundred, back when he was only a year old. He knew his ABCs long before other kids could walk or speak. In school, he won't sit still. Mainly due to the reason that he already knew their lessons. As the mom who brought him to this world and who's with him every day of his life, I know. He just can't sit still. He'd go to other classrooms, lie on his back on the floor, and identify all the planets in the Solar System painted on the ceiling. This is weird behavior, I know. With him being bored, he behaves in an unfamiliar manner, it makes him an easy target for anyone who just wants to make fun of anyone. I see this happen all the time. Not just in school, but at home, by his cousins. YES, cousins. They belong to typically developing crowd. Though they're too young to understand that my son is "different" (and perhaps you'd say I think of them in the wrong way), they find it really funny that it amuses them. For them, it's amusing to tease my son, scream in his face, and make fun of him (I don't really want this post to be a rant, but I'm only human, and that weird kid they're laughing at right there, is my own flesh and blood). Of course, my son does not understand why. It comes to a point when he can't stand the laughing and screaming in unison anymore. Again, to his face. It's just too much and becomes overwhelming that he'd be on meltdown afterwards. But I DO understand. It is quite hard. I can only do so much. Due to his inability to speak in vernacular, his classmates tend to veer away from him. They don't understand the way he speaks. He ended up not having any friends. I know what you're thinking. I don't blame you if you berate me for teaching my son to only speak in English. While we're 100% Filipino, you may think we were to blame for his predicament. Most people we meet/know do not have an idea that English is his first language, despite our attempts in teaching him our mother tongue. We didn't teach him the English language--just imagine how hard it is, raising an autistic kid, how much more difficult it could be to teach him about a different language? Go figure. It is easier for us, parents, to teach him with the language which we're most comfortable conversing in. I don't really know why. But we're trying. We want him to be able to communicate with other people, without them turning away from him, just because he doesn't speak the same way they do. Now, I'm not really looking down upon those kids (you'd say "Gosh! They're kids!"). But I tend to think that either they feel more superior than my son or they're just being kids. I could be wrong. But you'd know what it's like and what really happens, if you see this firsthand. My son is actually very responsive, that is, if he's not so focused on something else. He'll do whatever we ask him to do. You know, most of the time, teachers in pre-school may not hear or see everything their students do. If my son already answered, sometimes the teacher doesn't really hear due to noises around. Based on observation during first week of his classes before, other kids would scream at him if he doesn't do what their teacher asks him to do/say. Kids can be impatient, autisic or not. But I just feel so disheartened by what he has to go through everyday, just because he doesn't like to repeat something he already did. It's is not his fault that his teacher doesn't hear what he said. It's just the way he is. And the way he is, makes him a subject for bullying. I just wish he didn't have to go all through all of these. I'm thinking about the effect of bullying on "normal" kids. And it's just too much. It's too much that it hurts, even though those kids are not my own. I hurt for each one of them, for their parents, and for any individual who's struggling to win this battle. Think about how much more it would be for people with developmental disabilities. These things I've shared may be happening to other kids like my son. Or what happens to others could be worse. I wouldn't know. 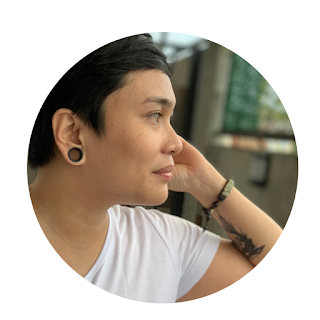 As a parent, I don't want to be over-protective. I want my child to learn how to deal with these things which, I, as a child, managed and went through unscathed. However, he's a different kind of "normal". I still believe that with proper care and management, he'll get through. Of course, it wouldn't be possible without the help of other people surrounding him. And if you're wondering how things would go as he doesn't go to school, he would. next school year. We believe he's ready now and we're hoping that things would be better this time.